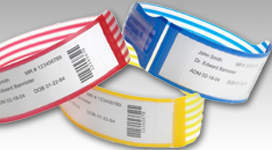 Alert Wristbands help notify caregivers of special patient conditions and precautions, helping to improve patient safety. 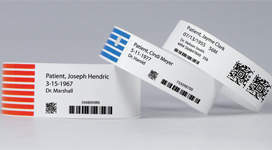 Our Companion ID Labels support text, bar codes and graphics and are specially designed to work with all types of printers. 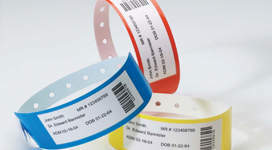 Our Label/Imprinter Wristbands help easily identify patients and are an ideal solution for facilities using all types of LIS systems. 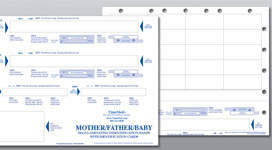 Choose from our wide selection of Laser Wristbands that are designed to help caregivers quickly and acurately identify adult, pediatric and infant patients. 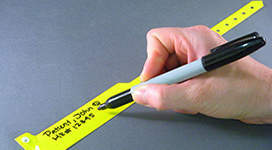 Insert Wristbands can be used with either a handwritten or LIS system to help caregivers accurately identify patients. 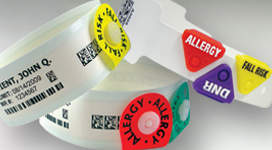 Shield Wristbands feature a clear, protective liner to help safeguard patient data from smearing due to water, sanitizer and more. 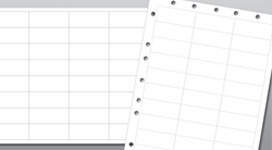 Short Stay® & Write-On Wristbands allow caregivers to quickly identify patients using a handwritten system, ideal for outpatient care. 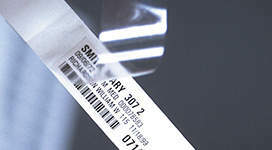 Our large assortment of Thermal Wristbands help caregivers quickly print patient information, and are compatible with all types of thermal printers. 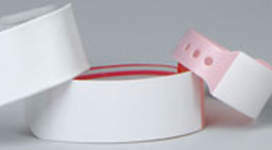 PDC Healthcare's blood bands help caregivers at collection centers match the right patient to the right blood, every time.